At Northwest Plumbing Company, we specialize in residential, commercial, and industrial plumbing and piping projects in the greater Knoxville area and East Tennessee. Our Company was founded in 1994 by Steve and Bryan Graham. 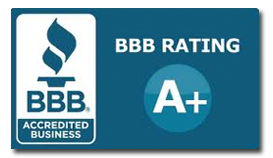 From the beginning, our goal has been to build a family oriented company that is honest and dependable. We have the highest expectations of ourselves and our employees. We offer competitive pricing, quality craftsmanship, and timely completion on every project; commercial and industrial and residential. We also engage in design/build projects with various general contractors. This is always advantageous to owners, developers and general contractors when it comes to meeting budgets and deadlines. We work hand in hand with local mechanical/plumbing engineers and general contractors to insure that the owner of a project gets the most out of every dollar spent. At Northwest Plumbing Company, we pride ourselves on our dedication to our customers. Whatever your plumbing need may be, whether it be new installation, pipe repair or even drain cleaning, we can help you. 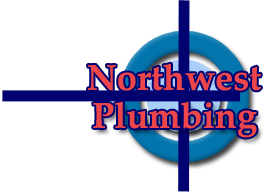 If you are looking for reliable, experienced technicians, Northwest Plumbing Company is just a phone call away. 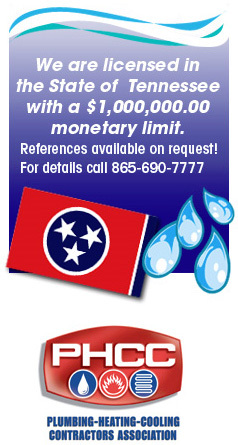 Call Northwest Plumbing Company today at 865-690-7777, or browse our website for more information.